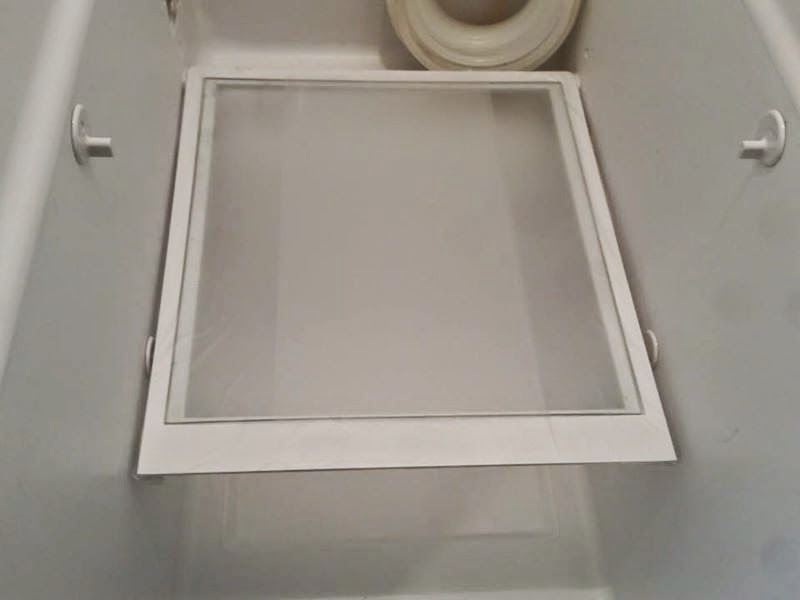 Vocational Homemaker: Appliance of Damocles™ No More! Appliance of Damocles™ No More! that posting this "photo" of a blue square was less embarrassing by comparison. Well, lookie at it now! Pressed'n sealed like a boss. I'm not going to lie to you. This was an ordeal. HOURS, people. This took hours. But it was worth it. Ok, let's get down to brass tacks. You have a Job of Damocles™ somewhere in your home that you are putting off because it is "too big" and it makes your head hurt. YOU CAN STILL DO IT. That's right: You can haz a freedom to do it. And no matter what that job is, it will only take four steps. FOUR. CLEAR. Empty the space to the bones. If you're working on your kitchen counters, empty them till the only thing left is crumbs. If you're working on your closet, empty it till the only thing left is the herd of dust rhinos. You get the picture. Remove anything that is not nailed down so you can see what you're really dealing with. ProTip: Don't start organizing the items as you remove them. That's a professional procrastinator's distraction tool (or so I've heard.) Just put them someplace where you won't trip on them and the cats won't sit on them. CLEAN. Use whatever tools or products you prefer to clean that beautifully-clear space. There are no magic potions, so use what you have or whatever appeals to you at the store. ProTip: Seriously, use whatever. For 90% of my household cleaning I use vinegar and Magic Eraser®. For the other 10% I use something in a can or bottle that probably would kill us all if I used it for 11% or more of the cleaning. EDIT. When you're done cleaning, turn around and look at all the stuff you took off or out of your space, and pretend that these things do not belong to you. :) If you were standing in your friend's kitchen/closet/other Space of Damocles™, what would you suggest keeping? What would you suggest giving away/throwing away/storing somewhere else? Be kind but honest - you aren't doing your friend any favors by sugar coating it. Then whatever you told your friend to do, do that. ProTip: For this step we are working under to the William Morris code of conduct: “Have nothing in your house that you do not know to be useful, or believe to be beautiful”. This means you can legally let go of things that have unpleasant memories attached to them, were expensive but remain unused, are gifts that do not suit you, or that have no purpose beyond "someday". No guilt, no judgement. RESTORE. Kudos! The hard part is over. All that's left is to put the remaining items where they belong, then take a picture for Facebooking purposes. ProTip: You are not a mere housekeeping automaton. You are a homemaking artiste, with ideas and aesthetics. Arrange your space so that when you look at it, you will say to yourself, "Why yes, all the things are where they please me, and I am proud of myself for doing this." Bonus: “Honey, where are my paaaaaaants?” If you took the initiative to declutter someone else's space (bless your heart), you are going to hear a version of this question at least once from said someone else. Heed my warning: Do not, under any circumstances, give away or throw out said someone else's things. Put them in a box, date the box and put it somewhere safe, but don't tell said someone else about the box. When said someone else asks the dreaded "Where is my XYZ??? ", be a hero and retrieve the item. In six months or a year, whatever is left is clearly unneeded, unwanted, unmissed. At that point you can safely delete the remaining items from your home without melodrama or police action. I love that you have admitted to having dust rhinos living in your pantry. I too am plagued by these terrible beasties and I KNOW that they, not my beloved family are responsible for the utter and complete chaos that is my pantry. 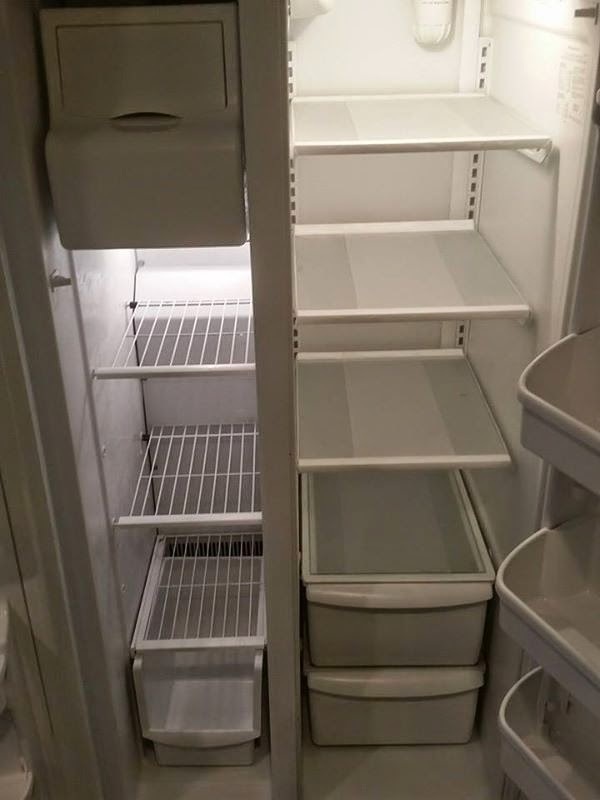 Thank you for the inspiring pictures of your fridge of Damocles™! I feel that I might just be inspired to tackle my very own task of Damocles today when I get home! Thank you for the 4 steps. I love them! Gonna start using that ASAP.